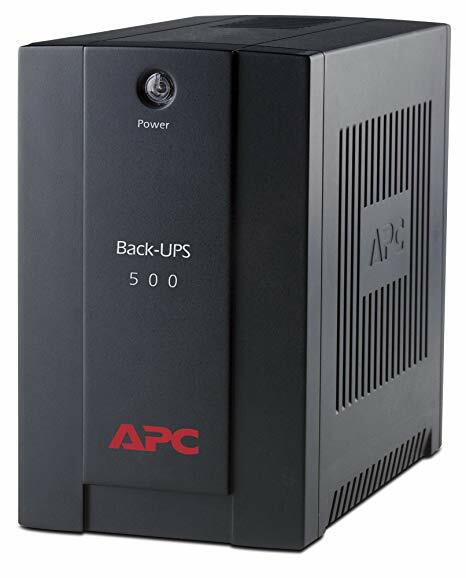 This easy to install battery replacement cartridge for your APC UPS. 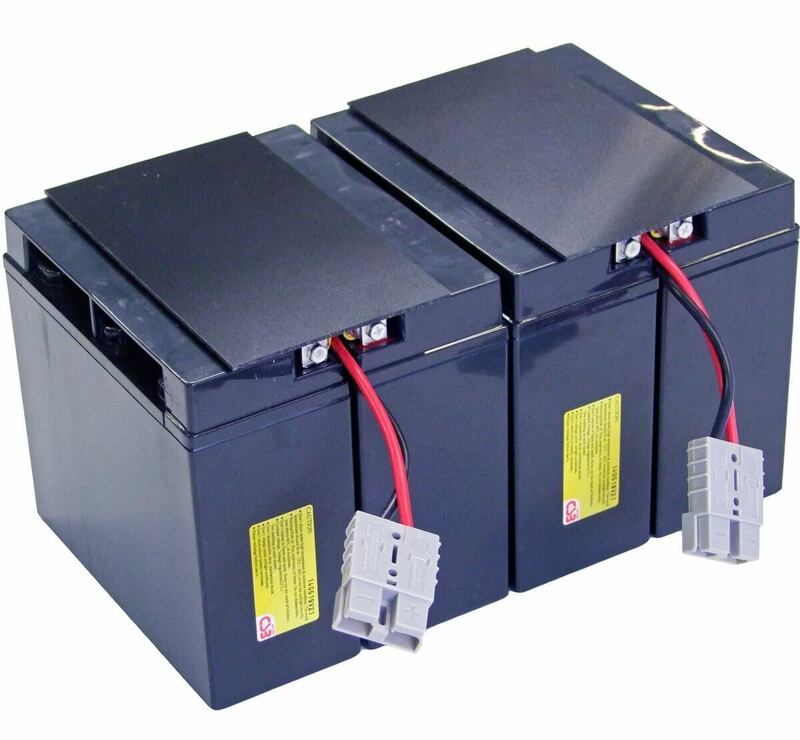 These replacements for the APC RBC11 kit are manufactured by us using CSB Battery blocks. These are the exact same brand of batteries used by APC in the original factory installation. 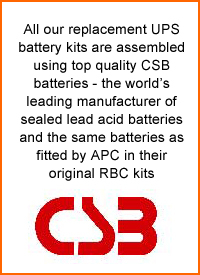 We are the sole UK importer and distributor of the CSB Battery brand. To install remove the plastic front panel and undo the two screws that hold the battery compartment door closed. The door will swing down revealing the first of the two battery blocks. Remove the plug from the top left corner and pull out the first battery cube. Repeat for the second unit behind. The old batteries can be quite tight to remove so you may need to pull fairly hard. Please be careful as they are quite heavy. The new batteries can now be easily fitted do not forget to firmly re-connect the connectors for both blocks. Replace the front panel and you are finished. If in any doubt call us on 0800 31 2100 for advice or use a qualified technician. We would also wish to make it clear that MDS Battery Ltd are not an authorised APC dealer and this is not an APC branded product. The MDS11 replacement kit includes the replacement batteries, all necessary wiring and connectors, a tutorial CD and install date reminder sticker.